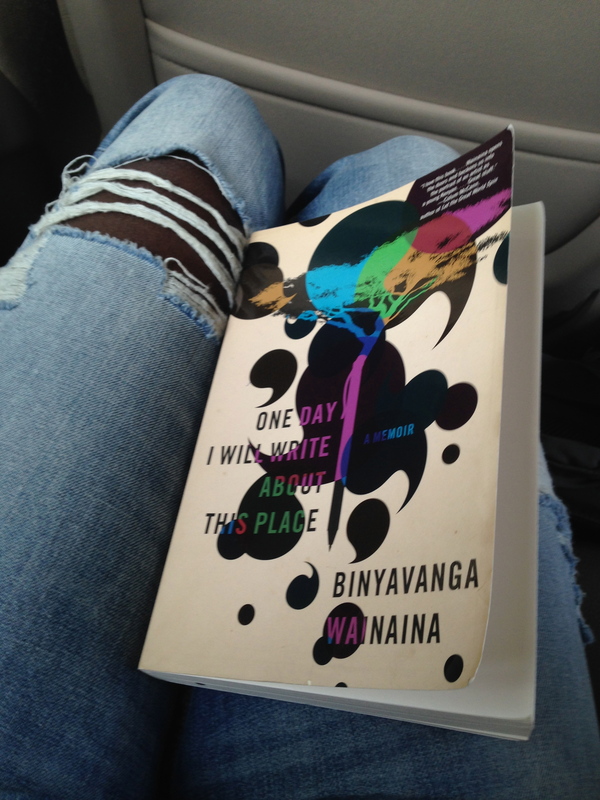 One Day I Will Write About This Place: A Memoir by Binyavanga Wainaina – African Book Addict! Throughout, reading is his refuge and his solace. And when, in 2002, a writing prize comes through, the door is opened for him to pursue the career that perhaps had been beckoning all along. A series of fascinating international reporting assignments follow. Finally he circles back to a Kenya in the throes of post-election violence and finds he is not the only one questioning the old certainties. This is an amazing memoir. I loved every bit of it!! I’ve watched and listened to several interviews featuring Wainaina, so when I was reading this book I read it in his voice and it made my reading experience even more enjoyable! I loved how Wainaina took us through his life as a child, his secondary school years, university life to present day. I loved how he portrayed his relationship with his sister- Ciru to the point where I almost thought they were twins. I loved the grace of his mother. I appreciated the struggles he faced in finding himself while in university in South Africa. I loved the way he played with sounds and words throughout the book – ‘kimay’! I loved the pop culture references – from Lauryn Hill’s afro, to OutKast’s wardrobe, Lionel Richie’s teeth and Brenda Fassie’s tumultuous spotlight in the media. Before reading One Day I Will Write About This Place, I scanned through Goodreads reviews and saw that readers found the memoir a bit choppy and overall, not an enjoyable read. In the beginning of the memoir, the writing style may seem ‘choppy’ because we are encountering the young, immature, happy-go-lucky, very jovial Binyavanga. The ‘choppy’ writing style is only symbolic, as we read through the mind of a young, somewhat scatter-brain, privileged boy who just enjoyed reading books, imagining random patterns in the sky and day-dreaming. Which youngster isn’t like this anyway? This memoir is anything but ‘choppy’ and once readers get passed encountering Wainaina’s hilarious boyhood antics, the reading experience gets better with every page. I learned a lot about Kenya and the ethnic group issues they face, especially during election times. It was familiar to me, as Ghana and other African nations unfortunately face similar ethnic group discrimination as well. Overall, it was refreshing to learn about Kenya from a middle-class, male standpoint, instead of the village life stories many African novels are based on. One Day I Will Write About This Place is an overall insightful, hilarious book. My love for Wainaina grew after he came out to the world earlier this year as being homosexual. I was proud of him, as one must live their truth! Wainaina was also recently honored in Times Magazine as one of the 100 most influential people in the world. 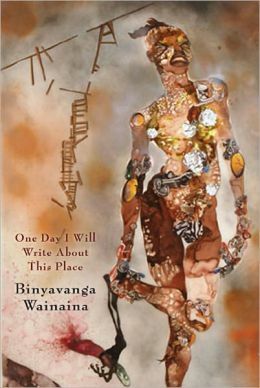 In January 2014, Wainaina wrote a Lost Chapter from One Day I Will Write About This Place which is an essay where he tells his mother he is a homosexual. 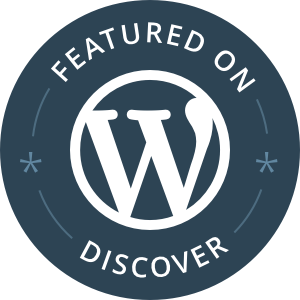 Check it out on Africa Is A Country – here. And the 2014 Caine Prize winner is… Okwiri Oduor! I read this recently. Like you, I loved the play with words and sounds! The way he conveyed the confused experiences and imaginations of childhood was really effective. Yes! I’m glad you appreciated his style as well! Pingback: And the 2015 Caine Prize winner is… | African Book Addict!